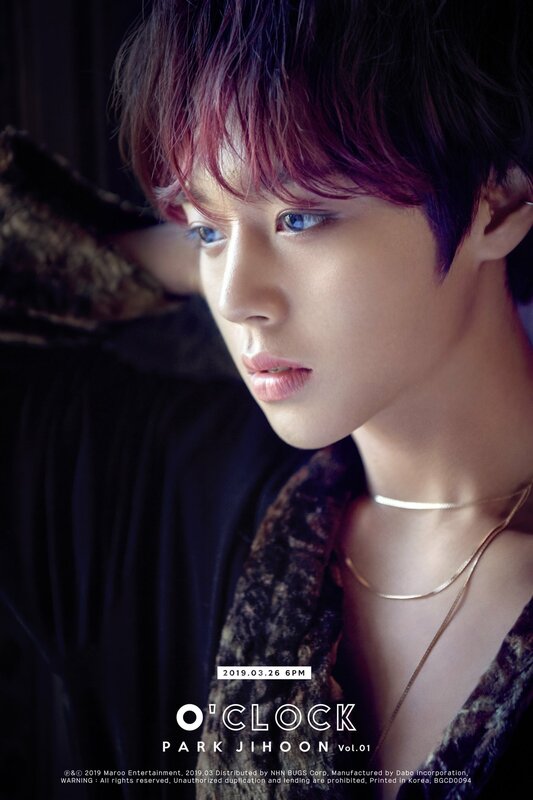 Park Jihoon has released the concept photos for his debut mini album ‘O’CLOCK‘. Check them out below! With dark red hair and blue colours reflected in his eyes, Jihoon is going for a sultrier look for his debut. Similarly, in the second concept photo, Jihoon looks romantic. 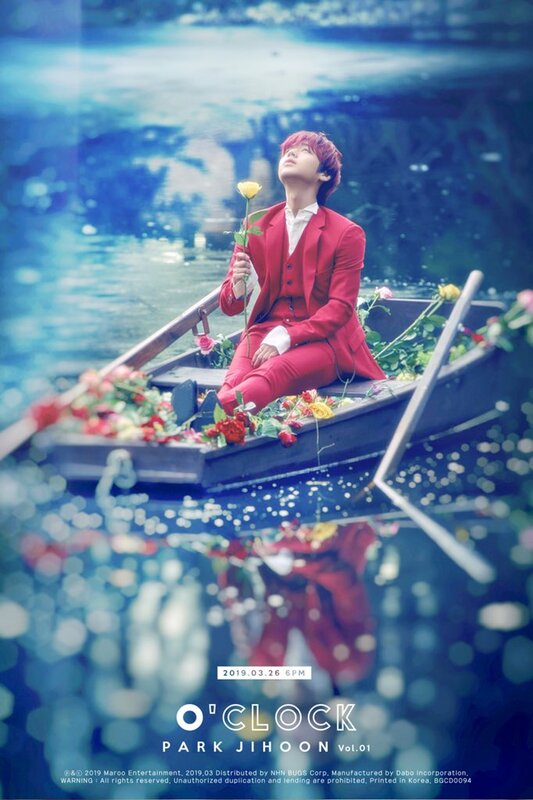 He is sitting by himself in a canoe filled with roses atop a reflective lake. Holding a yellow rose in his hand, he looks up towards the sky. His fully red suit enhances this romantic atmosphere. What do you think about Park Jihoon‘s concept photos for ‘O’CLOCK‘? Let us know in the comments below.